I consider the Rosetta spacecraft one of the most exciting space voyagers in years. It is the first probe to orbit a comet, returning images of unprecedented richness. 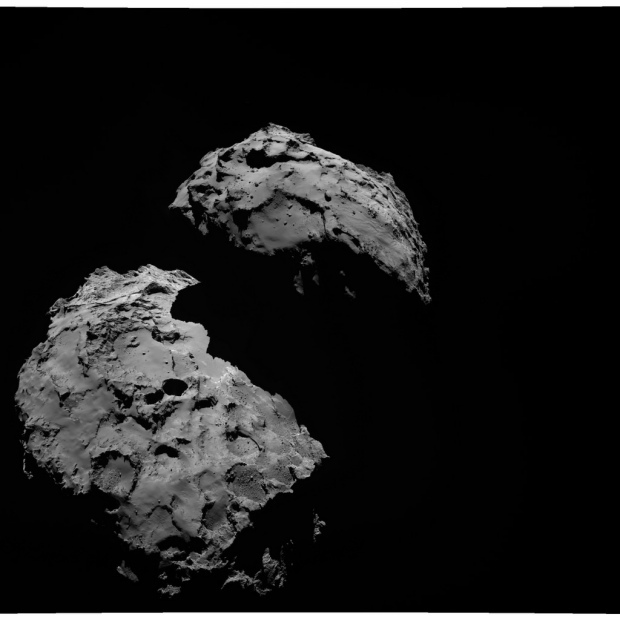 On November 12 it will place a lander on the comet’s surface, another exploratory breakthrough. Rosetta’s target, Comet 67P (its mouthy full name is Comet 67P/Churyumov-Gerasimenko) is a frozen relic from the early days of the solar system. Studying it up close will teach us a lot about how the planets formed, how Earth got its water, maybe even how life began. 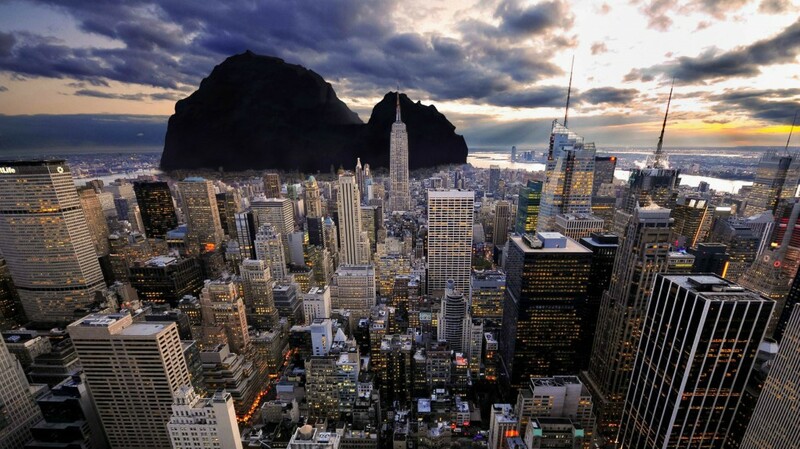 The process began with a Photoshop of Comet 67P into downtown Los Angeles. The juxtaposition drives home the point that Comet 67P is tiny by planetary standards–just 2.5 miles wide–yet it is a whole complex world unto itself. Soon others digital artists jumped on the idea, bringing the comet onto a global tour. The result? Well…I’ll let the pictures speak for themselves.Now I should add a caveat that I’m an unbridled fan of space exploration. Things that thrill me don’t always resonate the same way with the broader public, so I am heartened to see that the Rosetta mission has gone mainstream. Not only is it inspiring a great deal of news coverage and image sharing, it has achieved that distinctive sign of modern approval: It has spawned its own Internet meme. …and Raleigh, North Carolina, where the comet is bright but the sky, oddly, is dark (credit apparently to Reddit user rtphokie). From there it was just a matter of time before Comet 67P went international. First stop, a trip north to Toronto (credit to Harrison Ruess), where it levitates playfully. Next up, a journey to the other side of the world–no big deal for a wayward comet–to Melbourne (credit to Reddit user adoreoner). 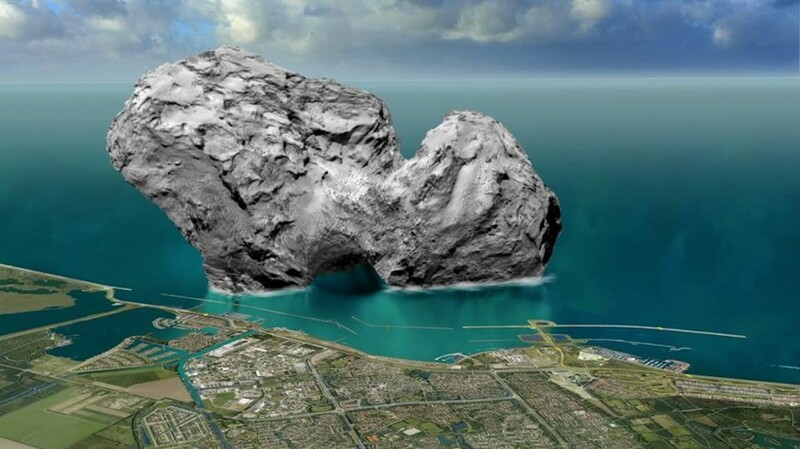 After all that travel it seems only fitting that Comet 67P should take up final residence in Europe, in one of the nations that helped create the Rosetta probe. So here is our last stop: a jolly splashdown just outside Lelystad, Netherlands (credit to Mieke Roth).